I would like to thank you all that came to West Chester Marriott to help us bring in 2016. It was a very special night for the band and myself. As most of you know it was a emotional and tough year for us, and it been long road. 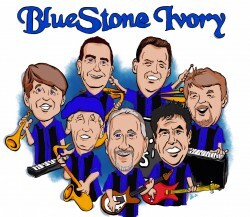 Through the graces of God we were blessed with our new guitarist Tom Hauenstein, so now we turn a page and start a new year, and best of all a new adventure for BlueStone Ivory.